This one is a wowzer. Not only does it surprise people with the novelty of it but it taste great too. OK, it may take a little extra effort to put it all together but aren’t your loved ones worth it? At least once a year for Valentines Day? I hope you enjoy this as much as my family does. Here it is ready for the final touch of gravy to be drizzled on top. 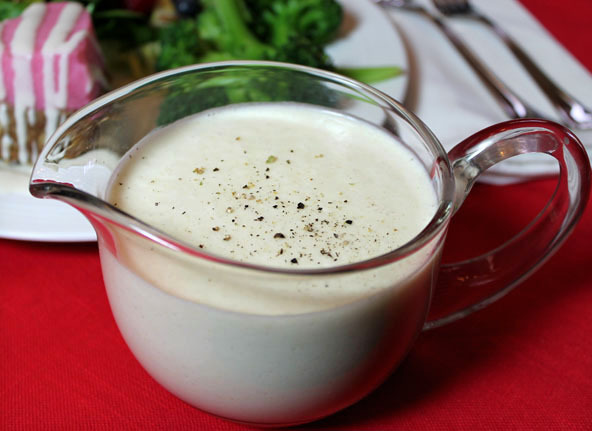 See recipe for the Creamy White Gravy. Look for a heart shaped pan as deep as this one for best looking results and feel the Love. This recipe calls for cooked quinoa or brown rice. Before starting, see recipe for cooked quinoa if needed and also the recipe for the Creamy White Sauce. For everyday use, nothing fancy, I like to use a muffin pan. 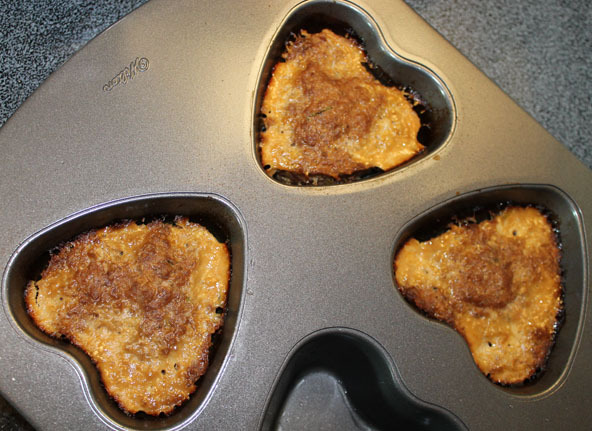 When you bake them in muffin pans or any other relatively small size, like this heart shaped pan, they will only take 20-25 minutes to bake rather than 1 hour in a loaf pan. Cook the quinoa or brown rice if using. Try to plan this meal when you have left-overs to use for this. Prepare the white sauce gravy. See recipe on this site. 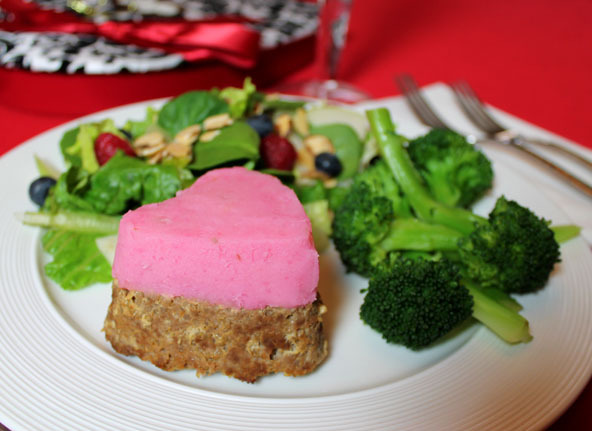 Prepare the mashed potatoes while the meatloaf hearts are cooking. See recipe on this site on how to make them pink. Combine the diced green onions, minced garlic, eggs, ketchup, tamari sauce, and salt & pepper in a bowl. Mix together well with a fork. Then add in the ground beef and pre-cooked quinoa and mix together. You may want to use your hands to mix it well. Grease the heart shaped pans with coconut oil. Press the meat mixture into the molds. Bake at 350° for about 20-25 minutes depending on how big and thick your hearts are. Use a meat thermometer to verify that it is at least 145° in the center. While they are baking make the pink mashed potatoes. When the meatloaves are done, carefully place them on a cookie sheet. With a knife, frost the tops of the meatloaf with mashed potatoes. Just like frosting a cake. 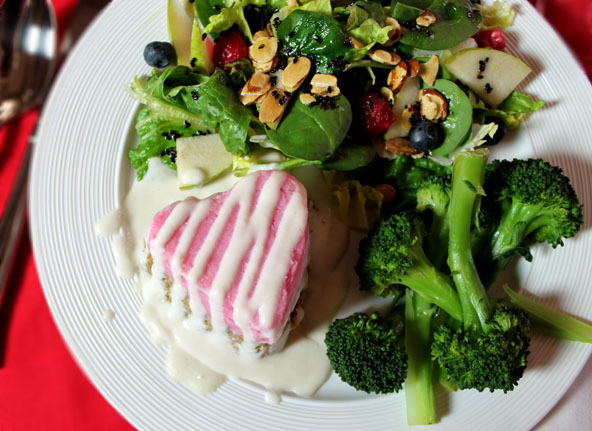 Put the white gravy in a squeeze bottle and drizzle over the hearts once plated and ready to serve. Do it all with love and gratitude in your heart.